The ‘Walking On A Dream: 10th Anniversary Edition’ vinyl can be ordered HERE and is available while supplies last. 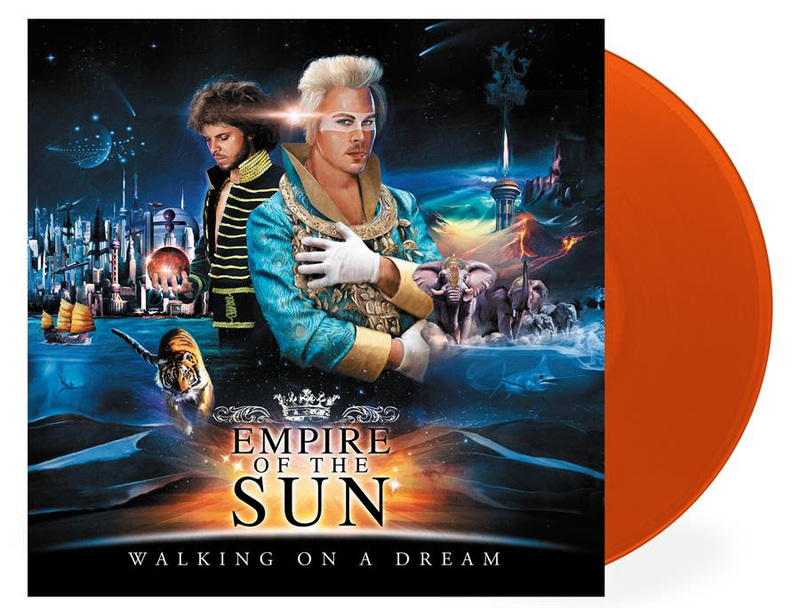 In 2008, two of Australia’s leading musicians/producers LUKE STEELE (The Sleepy Jackson) and NICHOLAS LITTLEMORE (Pnau) created a vision that seemed to come from an alternative reality – a post-apocalyptic psychedelic adventure known as EMPIRE OF THE SUN. The resulting album Walking On A Dream went on to sell close to 2 million copies worldwide. 8 ARIA awards (including Album of The Year, Single of the Year and Best Group), 2 BRIT nominations (including Best International Album), and many more accolades followed. In the decade since the album’s release, Empire Of The Sun have risen to be one of Australia’s most successful musical exports. The band followed their debut with the release of two more full-length albums – 2013’s Ice On The Dune and 2016’s Two Vines. To date the band have sold over 3 million albums and have reached Multi-Platinum status with global singles Alive, We Are The People and Walking On A Dream (certified platinum – 1 million sales – in the US). The band have also toured the globe extensively including headline slots at Coachella and a sold out performance at The Hollywood Bowl to over 17,000 fans. TV performances have included ELLEN, The Tonight Show with Jimmy Fallon and Later… With Jules Holland.